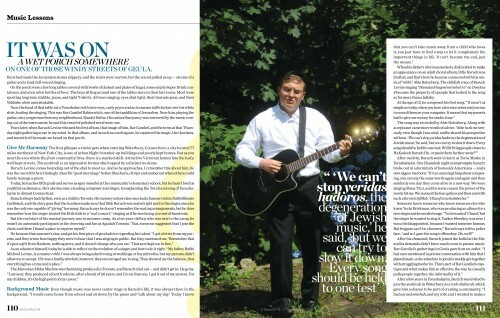 Mishpacha’s mega Yom Tov issue is welcomed into homes and Succos everywhere- a showcase of the magazine’s defining elements- people, places, ideas, graphics and, this year, a special bonus- the Kumzing 2 CD. A unique and historic visit with the gedolei yisroel of today in their earlier years, behind the scenes with musicians and activists, a stunning visual project involving the top photographers in the frum world, and a special supplement highlighting Then and Now, the way things change, the way they stay the same. 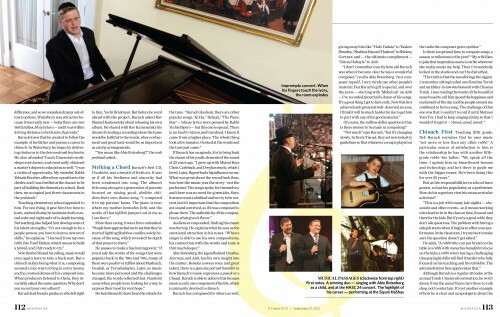 Below is a excerpt from the article on Rabbi Baruch Levine. guitar and a loud, full-voiced singing. Near the head of that table sat a Yerushalmi with wise eyes, curly peyos and an immense tallis kattan over his white shirt, leading the singing. This was Rav Gamliel Rabinovitch, one of the tzaddikim of Jerusalem. 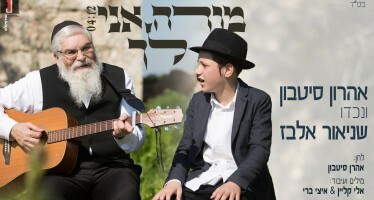 Near him, playing the guitar, sat a yungerman from my neighborhood, Maalot Dafna. His natural buoyancy was mirrored by the music coming out of the instrument; he and this vessel of polished wood were one. 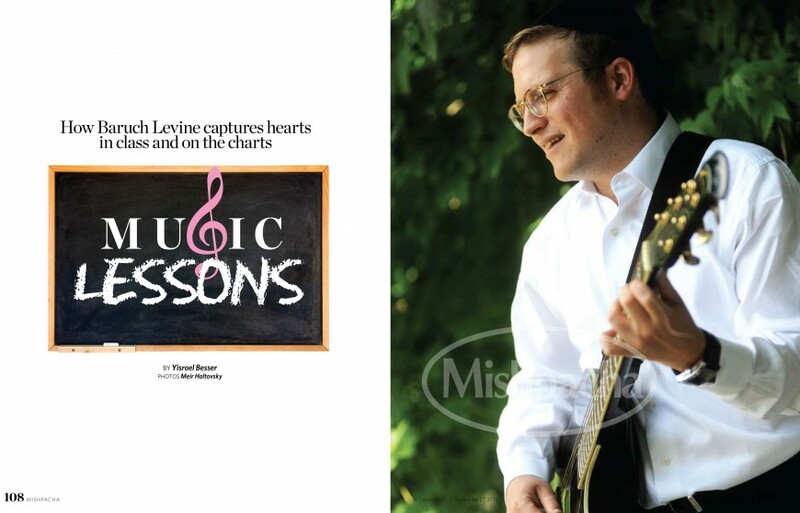 Years later, when Baruch Levine released his first album, that image of him, Rav Gamliel, and the teens at that Thursday night gathering arose in my mind. In that album, and in each succeeding one, he captured the magic, the charisma, and warmth of the music we heard on that porch. Give Me Harmony The first glimpse a visitor gets when entering Waterbury, Connecticut, a city located 77 miles northeast of New York City, is one of urban blight: boarded-up buildings and poorly kept homes. But as you near the area where the frum community lives, there is a marked shift. Attractive Victorian homes line the leafy, well-kept streets. The yeshivah is an impressive former shul topped by a distinctive dome. was the one with the irritatingly cheerful “good mornings” before Shacharis, chirpy and exuberant when others could barely manage a grunt. Today, he teaches fifth grade and serves as sgan menahel at the community’s elementary school, but he hasn’t lost his youthful exuberance. 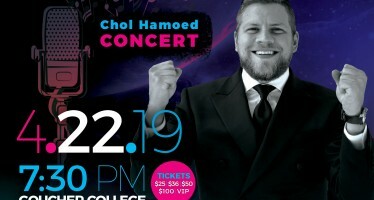 He’s also become a leading composer and singer, transplanting the Torah and song of Yerushalayim to distant Connecticut. Baruch always had rhythm, even as a child in Toronto. His nursery school class once had a famous visitor, Rabbi Shlomo Carlebach, and the story goes that the teachers made sure that little Baruch was seated right next to the singer, since he was the only one capable of “giving” harmony. Baruch says he doesn’t remember the seating arrangements, but he does remember how the singer treated the little kids to a “real concert,” singing as if he was facing a crowd of hundreds. I hate those glasses although all in all he is a good singer!! !